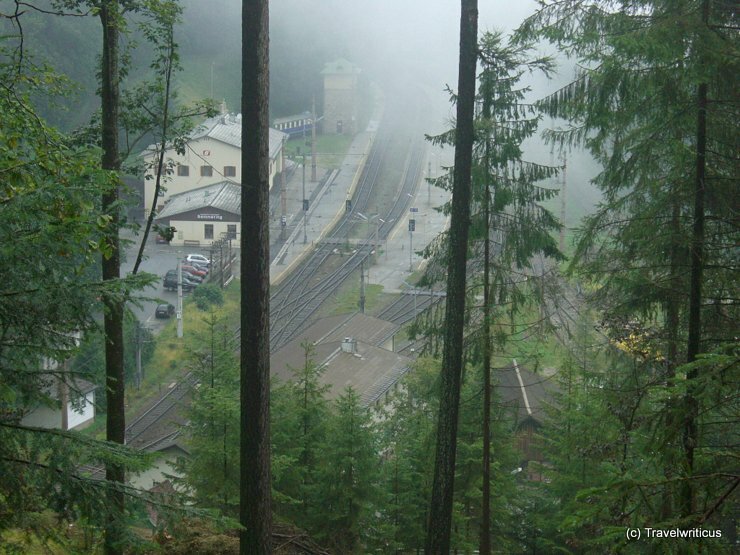 On my train trips to Vienna I often pass the railway station Semmering. Generally I see the station just from my train window. On a hiking tour I got this different view. Looks misty, doesn’t it? 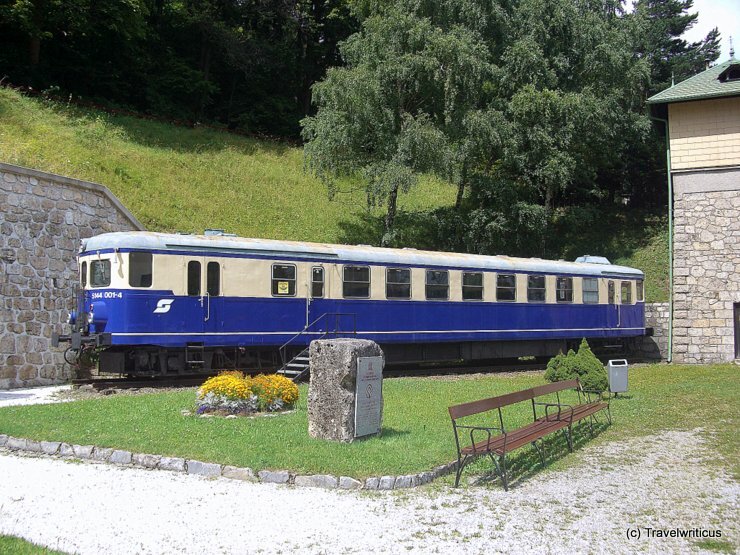 By the way the blue-white rail car in the background is a diesel rail car ÖBB 5144.